Racism is still alive and well in US and UK academia, writes Kalwant Bhopal, author of White privilege. She argues that to dismantle it, there is a need for radical action from universities, which must start by acknowledging the existence of institutional racism and white privilege. Originally published by the LSE British Politics and Policy blog on 28th November 2017. Despite many claims to the contrary, racism is alive and well and robustly shaping the educational experiences of black and minority ethnic students in the United Kingdom and the United States. The evidence that this is happening in schools, when accessing elite (and non-elite) universities and later when applying for better paid or higher status jobs is scrutinised in my new book, White Privilege: The myth of a post-racial society. I argue that in neoliberal contexts, policy-making ensures covert and overt forms of racism, and exclusion continues to operate at all levels in society in which white identities are privileged. The talk may be all about a ‘post-racial society’, but in reality the status quo remains unchallenged. Black and minority ethnic academics working in universities remain marginalised and regularly describe experiencing subtle, covert, and nuanced racism. At senior levels, they are less likely than their white colleagues to be professors or occupy decision-making roles. 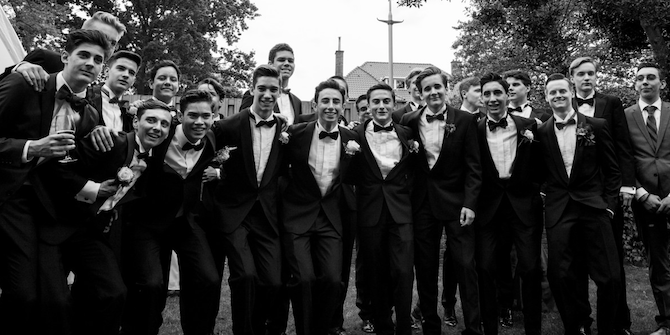 The white space of the academy perpetuates and reinforces white middle class privilege; consequently our higher education continues to be dominated by a white elite. I have researched educational inequalities for 30 years and it often feels like we are going around in circles: the more things change, the more they stay the same. A radical shift is needed from universities to acknowledge their long-standing role in privileging whiteness and implement change that addresses the inequalities this has fostered. Credits: pxhere (CC0 Public Domain). Higher education must firstly acknowledge institutional racism and white privilege; a failure to acknowledge racism results in a failure to act upon it. Institutional frameworks to facilitate change at local and national levels include universities monitoring racist incidents, identifying measures to address racism, and action plans with specific outcomes. Such action plans need to be characterised by their ‘clarity’; they need to demonstrate a clear link between identifying a problem, providing solutions, and measuring outcomes. Additionally, they need the ‘clarity’ we might associate with being ‘out in the open’, in which racism is publically acknowledged and addressed. Such clarity would ensure that it is the outcome of change that is assessed, rather than the rhetoric of what should happen. Secondly, universities should be held to account for their lack of representation of black and minority ethnic groups in senior decision-making roles through monitoring and reviewing their staff profiles on a regular basis. A greater visibility of black and minority ethnic staff is needed in senior decision-making roles so that there is a specific recognition and valuing of diversity in staff representation. Unconscious bias training should be mandatory for all staff: at the very least, this training should be a requirement for individuals who are involved in promotion and recruitment panels. Simple measures such as the introduction of name-blind job applications to avoid the ample evidence that non-Eurocentric names are disadvantaged in recruitment processes are easy to implement and immediately signal a willingness to tackle issues of diversity. To support black and minority ethnic staff to reach their full potential, all universities should be expected to provide formal mentoring and training to staff who wish to progress in their careers. Thirdly, universities must address the racial makeup of their student bodies. Oxford University was recently accused of ‘social apartheid’ for not admitting a single Black British student in nearly one in three of its colleges. Too often institutions that fail to recruit Black British students talk about their commitment to diversity by highlighting the numbers of international students they have recruited. These are discourses that demonstrate a lack of clarity. The value of international students for universities is closely tied to their greater economic contribution compared to home students. When the playing field is level, when white home students and black home students are paying the same fees, it seems remarkable that diversity is suddenly not accounted for. Universities must be held accountable for failing to admit a diverse body of home students. I suggest a quota system should be introduced for selective universities, as well as elite universities, such as Oxbridge and the Russell Group in particular. The persistent failures of these publically-funded universities to address their inability to recruit the brightest students if they have the ‘wrong’ skin colour is, in the language of civil servants and policy-makers, not delivering value for money. Measures such as outreach programmes targeting poor areas, underperforming schools and underrepresented schools; offering support packages to pupils to develop their university applications; training for interviews; bursaries and scholarships to Oxbridge, are in no way about lowering standards. They are simple, necessary steps to move towards an inclusive approach for students from black and minority ethnic backgrounds who are not currently finding they have access to the same opportunities afforded their white, more wealthy, privately-schooled peers. White privilege is awarded to those who are already privileged. This reinforces and perpetuates a system in which white elites are able to maintain and reinforce their position of power at all levels. Within a neoliberal context, policymaking is legitimised through a rhetoric that reinforces the benefits of neoliberalism as a universal value. I argue, however, that it reinforces whiteness and white privilege. It fails to acknowledge the role that race and inequality play in perpetuating advantage over disadvantage and that neoliberalism does not benefit all members of society equally. Furthermore, to argue that the aftermath of the Macpherson report on institutional racism in the UK police has resulted in a post-racial society is utterly absurd (as I highlight with Martin Myers in a recent paper). Such discourses only serve to further marginalise black and minority ethnic communities. Racism exists at every level of society: it permeates our schools, our colleges and our universities. It is alive in all elements of society, our popular culture, our media and the social spaces that we occupy. We do not live in a post-racial society. What you look like – if you are black or from a minority ethnic group determines how you will be judged. Race acts as a marker of difference in a society poisoned by fear, insecurity, and instability. If we continue as we are, then whiteness and white privilege will continue to dominate in higher education institutions, with white groups doing whatever they can to protect and perpetuate their own positions of power. 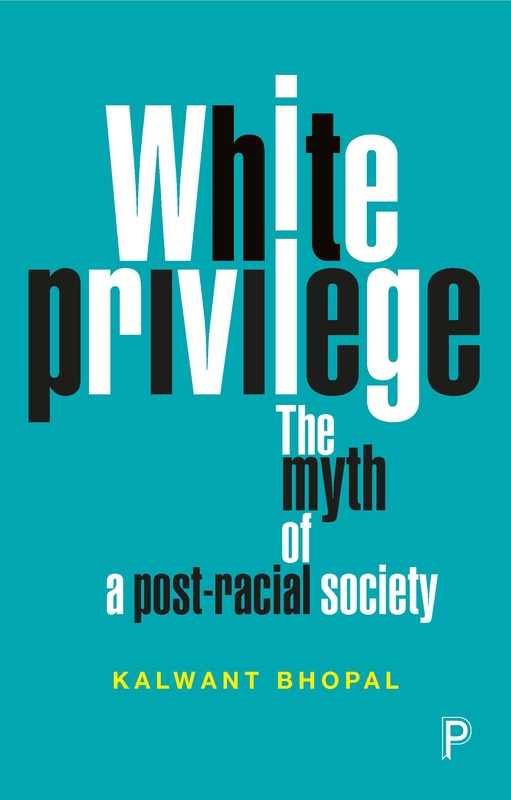 White privilege by Kalwant Bhopal is available with 20% discount on the Policy Press website. Order here for just £10.39. Find out more about impact, influence and engagement at Policy Press here. Policy Press newsletter subscribers receive a 35% discount – sign up here. The views and opinions expressed on this blog site are solely those of the original blog post authors and other contributors. These views and opinions do not necessarily represent those of the Policy Press and/or any/all contributors to this site. Republish our articles for free, online or in print. The work on the Policy Press blog is licensed under a Creative Commons licence.